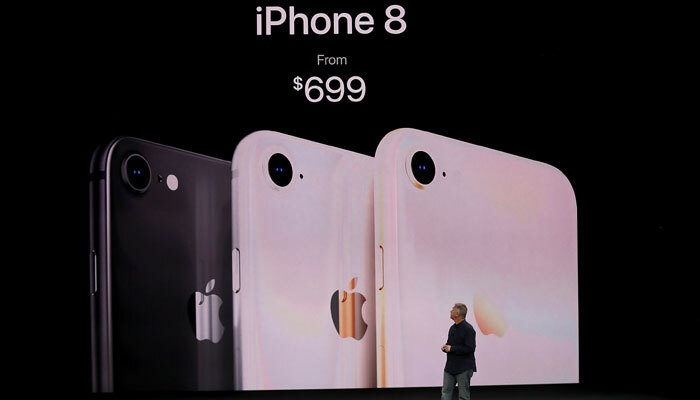 CUPERTINO, United States: Apple unveiled three new iPhone models on Monday, including a top-of-line handset described as "the biggest leap forward" since the original iPhone 10 years ago. Apple chief executive Tim Cook announced the premium iPhone X -- pronounced 10 -- as well as a new iPhone 8 and 8 Plus. Cook, speaking at the first event at the new campus theater named for the late Apple co-founder Steve Jobs, said the latest flagship handset is a milestone for the company a decade after the first iPhone release. "Ten years later it is only fitting that we are here in this place, on this day to reveal a product that will set the path for technology for the next decade," Cook said, calling the iPhone X "the biggest leap forward since the original iPhone." The iPhone X has an edge-to-edge screen and uses facial recognition to unlock the device, and improved "super retina" display with improved graphics and resolution. Apple senior vice president, Phil Schiller, said the glass-body iPhone 8 and 8 Plus handsets were the first smartphones "really created for augmented reality," with improved power and graphics over their predecessors.